Cookies are an important part of my holiday tradition. I love having an excuse to make big trays of cookies, brownies, and other culinary delights to share with my friends and neighbors. 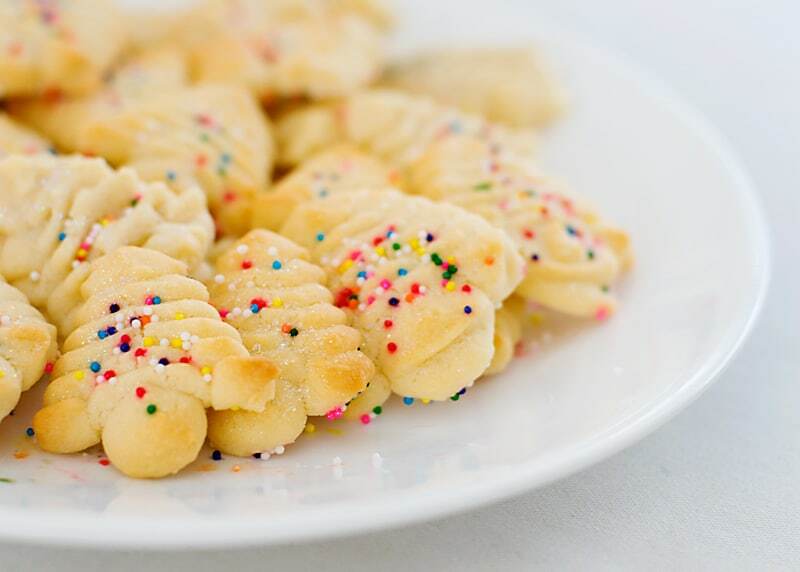 My spritz cookies are always a particularly large hit due to their great taste and unique shapes. Due to the popularity of my cookies, I get asked about how I make them pretty often. My friends are surprised to learn that these delectable cookies are made with the aid of a simple tool. As a result, my cookie press gets shown off a lot and even lent out to friends who want to make spritz cookies for the first time. Unfortunately, I can’t lend my cookie press to all of my online readers. Instead, if you’d like to try making spritz cookies at home, you’ll have to use one of the top cookie presses reviewed below. I’ll go over what features you should look for and what makes each of these options a top pick. For those who have disabilities that prevent from operating a hand-powered cookie press in comfort it’s absolutely worth it to pick up this machine. Clear cylinder, good grip, 12 disks and a reasonable price. You and your family will enjoy the delicious shaped cookies you can make with it! If you want an incredibly durable, easy to operate cookie press with plenty of plates, this all-metal Marcato is a perfect choice. There’s a lot of buzz about this product online, and not all of it is good. I’d like to preface this review by stating that you probably shouldn’t get an electric cookie shooter at all if you’re willing and able to operate a hand-powered machine. The cookie presses that operate via human power are more robust, press cookies out faster, and are cheaper than their electric counterparts. Why is that? Honestly, it’s not entirely clear. Cuisinart made a fairly acceptable electric cookie gun a few years ago that had at least mildly positive reviews. That product is very difficult to get a hold of today. For whatever reason, it seems to have been discontinued. Still, even the old, better version of the Cuisinart cookie gun won’t hold a candle to a cheap hand-operated machine. Electric motors are really, really good at spinning very fast and accurately. They’re pretty bad at spinning with lots of torque. This means that you either need a big, expensive motor or a complicated gearbox in order to deliver pushing power. 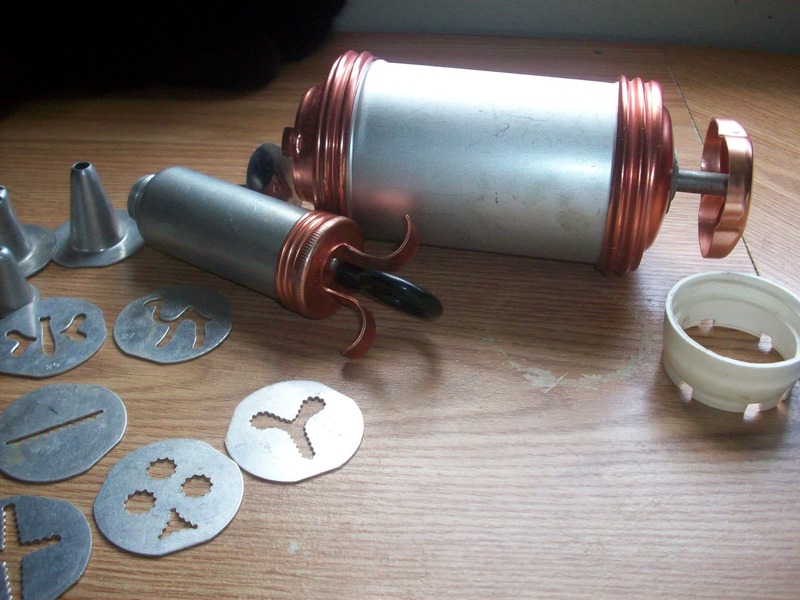 A cheap, handheld electric motor doesn’t have a lot of force behind it when it operates. In other words, even a fairly pricey electric cookie gun won’t be very good at pushing a stiff refrigerated dough out of the tube. When you choose a product like the CCP-20, you’ll have to make extra sure that you make a pliable dough and keep it as soft as possible while you press it. Without these extra precautions, the machine simply won’t be able to push the dough out of the tube. This isn’t to say that there’s not a market for an electric cookie press like the CCP-20. There are plenty of people who have arthritis or other disabilities that prevent them from operating a hand-powered cookie press in comfort. If you’re one of those people, it’s absolutely worth it to pick up this machine (or a competitor) to help you make cookies. You’ll have to take extra precautions with your dough to make sure it’s soft enough for the press to work with, but that’s a small price to pay if it’s the only way you can make cookies in comfort. If you’ve got healthy, working hands, however, you should probably choose a manually powered press. So should you choose this CCP-20 or a different electric press? The CCP-20 is powered by an electrical outlet, not batteries, and comes with 12 metal disks for pressing cookies in a variety of shapes. It’s woefully underpowered, meaning that you’ll have to take extra care with your dough (as we discussed above). Other than the Cuisinart name, there’s not a lot that separates this cookie press from other electric cookie presses on the market. If you’re willing to add some physical force yourself, this OXO Good Grips Cookie Press is a functional upgrade over any electric tool. Since you’re not held back by the limited torque that comes from a small electric motor, you’re able to use this tool with a wider variety of doughs. Functionally, this tool is quite similar to the electric cookie press above. It’s got a clear cylinder that you fill with cookie dough. A plunger presses that dough past a steel disk that’s cut out in a special pattern. The big difference here is that you supply the force necessary to bring the plunger down with your own two hands. Despite this, it’s not harder to use. This cookie press utilizes a long, non-slip lever and a clever ratchet to ensure that you don’t need a lot of force to make cookies. Most adults and kids will have no problems making their spritz cookies by hand with this tool. The basic model of this cookie press comes with 12 disks. There’s a daisy cutout, a fleur-de-lis, a bear, a heart, a shell, and more. You can make winter-themed cookies with the included snowflake, wreathe, and tree disks. This means that you’ll get quite a lot of use out of this tool without needing to purchase additional disk packs. The OXO Good Grips stands out from competing cookie presses for a number of reasons. First off, it’s got a clear cylinder, which is very helpful for knowing how much dough is in the cylinder. Second, the plunger actually pushes almost all of the dough through. With many competing models, you’ll be left with a lot of dough in the tube when you’re all done. Most importantly, however, the Good Grips has a good grip. It’s very pleasant to hold and operate this device. The base is made of a non-slip material, too, meaning that you won’t slide your cookie gun all over your working area when you shoot out cookies. In addition to all of these upsides, the OXO Good Grips is priced very competitively. It won’t necessarily beat all of the competitors, but it’s definitely on the cheaper end as far as cookie presses go. Considering you get a full 12 disks included in the box, it’s a pretty good deal. 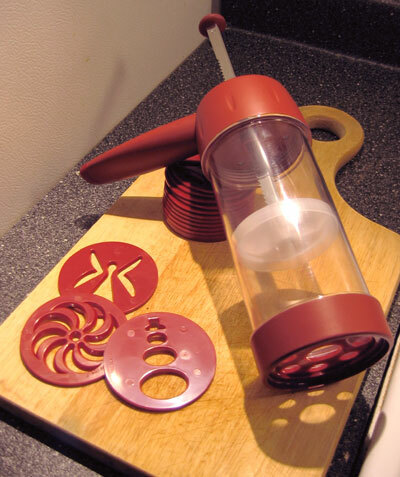 The OXO Good Grips cookie press is an excellent tool that you’ll love to use. It’s a clear upgrade over pretty much any electric cookie press if you’re willing to put in a bit of manual work with the lever. 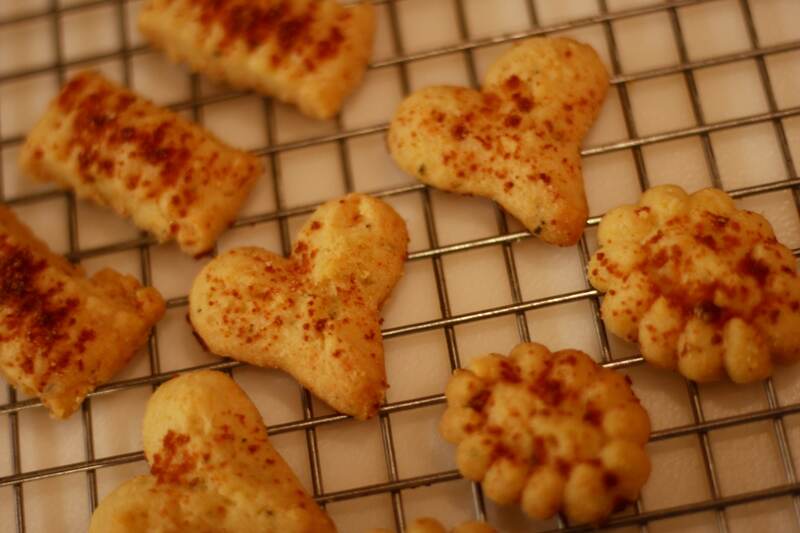 You and your family will enjoy the delicious shaped cookies you can make with it! While I’m a big fan of the OXO, many of my friends expressed some doubts about its plastic construction. This Marcato Deluxe Cookie Press is made from stainless steel. It’s not see-through, of course, but the solid metal means that you’ll be able to use this tool for many, many years. Like the OXO above, this cookie press is entirely hand powered. If you absolutely need an electric cookie press, I’d suggest trying the Cuisinart above. If you think you can deal with a bit of hand pumping, however, either this Marcato or the OXO reviewed earlier will blow the electric Cuisinart out of the water. The big benefit of this cookie press is that it’s incredibly sturdy. There are customer reports from consumers who have been faithfully using this press for many years. The all-metal construction assures that it’ll stand up to some pretty serious abuse. Stainless is fairly easy to clean, too, so it won’t be too hard to maintain this cookie press. Like the OXO Good Grips, this cookie press is operated by pressing down on a handle repeatedly. A clever ratchet mechanism takes this force and uses it to drive down a plunger. This means that there’s no gripping or squeezing. 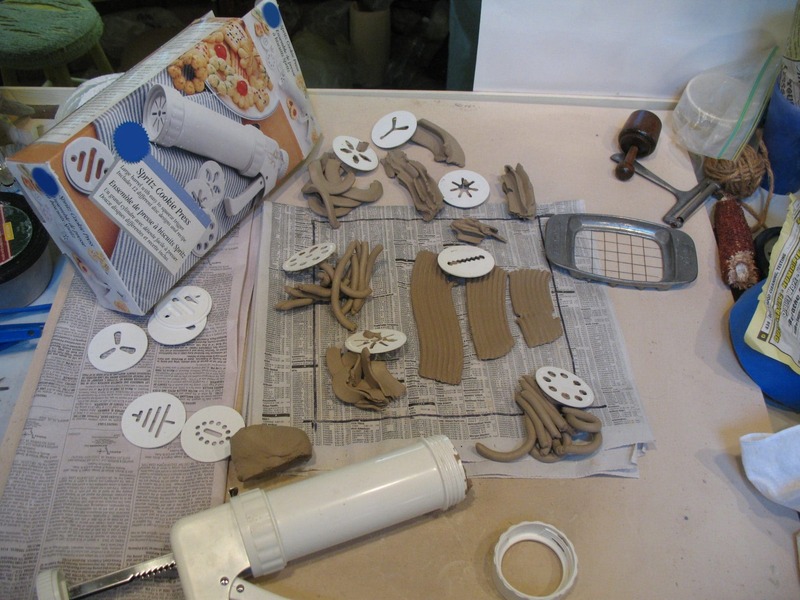 Many people with arthritis or hand-related disabilities can use both of these cookie presses with no problems. One thing to note: even though this press can put out quite a lot of pressure, you’ll still encounter occasional problems when your dough is too warm or too cool. Since this device is made of metal, you can simply stick it in the freezer for a minute or two to keep a warm dough from sticking. Alternately, you can use your hands to warm up the dough through the metal cylinder. In both cases, it’s not too much work to return your dough to working order. This cookie press comes with a whopping 20 plates. This gives you a pretty huge selection of cookie shapes to choose from. You’ll enjoy being able to personalize your cookie (and shortbread) shapes for every occasion. If you want a durable, easy to operate cookie press with plenty of plates, this Marcato is a perfect choice. The metal design ensures that you can bake cookies for both your kids and your grandkids. Limitations in current technology mean that it’s hard for manufacturers to put a high-torque electric motor in a small handheld tool. This means that electric cookie presses like the Cuisinart CCP-20 are fairly underpowered and frustrating to use. If you’ve got a disability or another issue that prevents you from using a manual cookie press, there’s nothing wrong with using one of these devices. You’ll just have to do a bit more work to make sure your dough is soft enough for the machine to work with. If you don’t mind using your hands, however, both the Marcato Deluxe Cookie Press and the OXO Good Grips are excellent hand-powered presses that are easy to use, even with arthritis. Both of these machines are very durable and come with plenty of plates. You’ll be able to make cookies for friends and family in all sorts of fun shapes.